Reigning Daytona 500 winner Kurt Busch and NFL MVP candidate and Arizona Cardinals’ Star Running Back David Johnson. 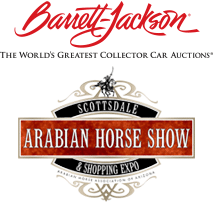 They are just two of the celebrities scheduled to be at this year’s Bentley Scottsdale Polo Championships November 11-12 at WestWorld of Scottsdale. Busch and Johnson won’t just be attending the event, they’ll also be doing the First Drops on Saturday, November 11th. Busch will be on hand for the NASCAR race that Sunday. But on Saturday he’ll be on hand to watch his wife Ashley Busch play for the Aspen Valley Polo Team, the event’s defending champions led by Melissa Ganzi. Two of the biggest names in sports will join the most attended polo event in America for the first time along with teams from Seattle, Santa Barbara, St. Moritz and Monte-Carlo. With the event just over three months away, make sure you have the best seats in the house for the “best polo event in the world,” as the Captain of the Wales Polo Team has called the Scottsdale polo spectacle. Tickets, tables and sponsorships are now available at ThePoloParty.com or by calling 480.423.1414. See you November 11th and 12th at The Bentley Scottsdale Polo Championships: Presented by Stella Artois.